We have been working with a team of experienced growers to learn how they are successfully implementing reduced tillage on their own farm. See the diversity of reduced tillage systems and read their farm stories to learn more. 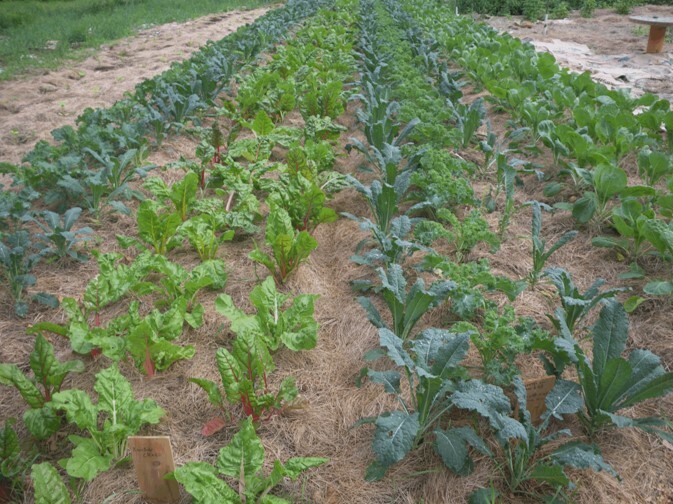 These practices are informing our own research in organic vegetables. 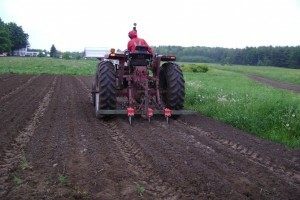 Lisa and Ralph Turner’s 15 acre farm uses permanent beds with shallow tillage combined with subsoiling. Their permanent beds helped improve drainage after excessive rainfall events and they have built custom equipment to reduce the number of passes for bed preparation. Read more about Laughing Stock Farm in the Spring 2016 issue of Small Farm Quarterly. 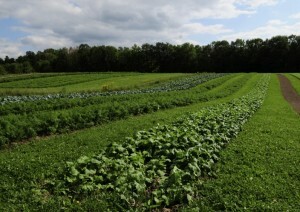 Jay and Polly Armour own 4 acres of permanent beds under continuous no-till using compost mulch methods. High-quality compost is made on the farm using innovative techniques and applied to control weeds and improve soils. 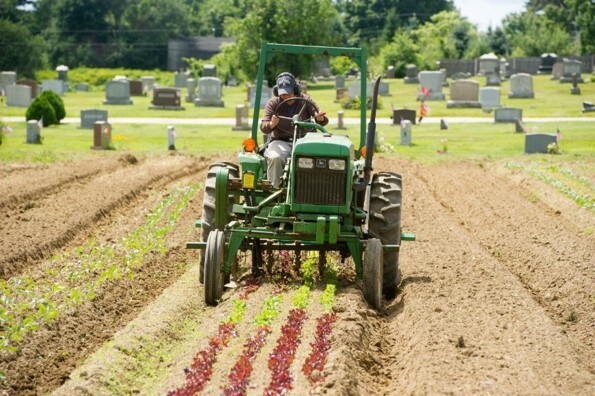 Read more about Four Winds Farm in the Spring 2016 issue of Small Farm Quarterly. Lou Johns (former owner) built and operated this 13-acre organic farm, which is managed completely under permanent tilled beds separated by mowed grass alleys. Pathways provide continuous soil cover that bring multiple benefits, including stabilizing soil, adding organic matter and managing the flow of water. Beds are managed with custom equipment and tools to maintain the pathway edge. 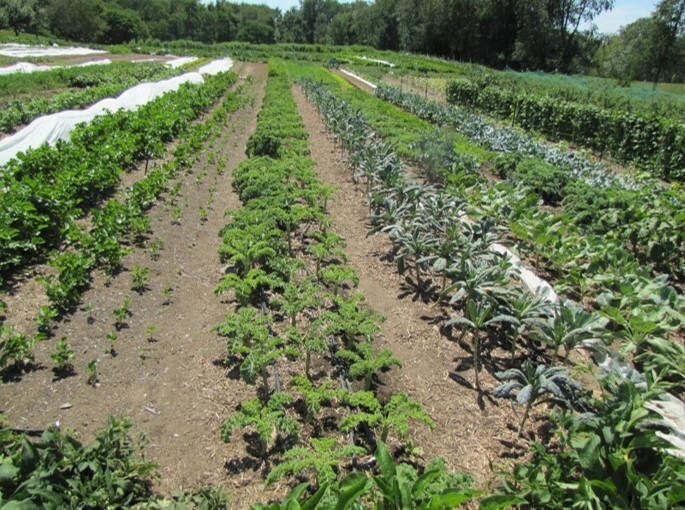 Read more about Blue Heron Farm in the Summer 2016 issue of Small Farm Quarterly. Rick Baruc uses continuous no-till methods with heavy mulching, including cardboard and hay/straw, and pre-plant tarps for soil cover. 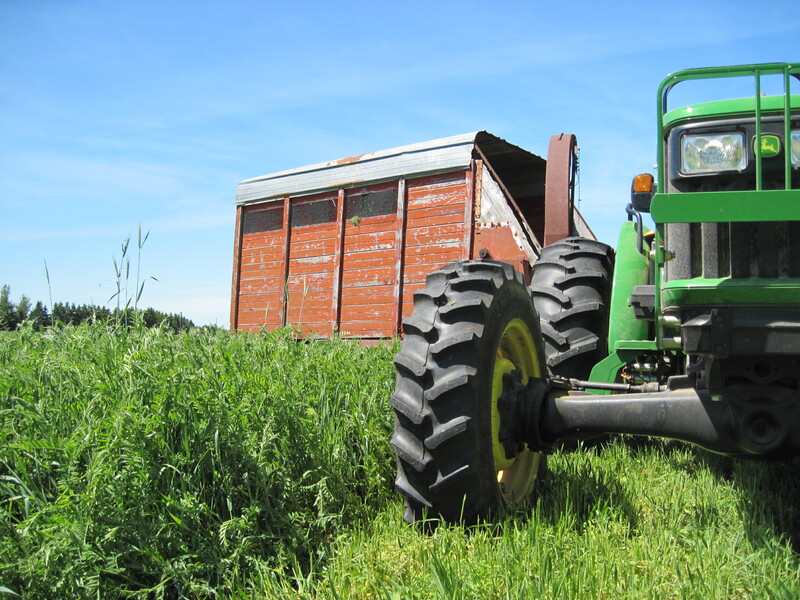 Practices are employed without mechanized equipment and are designed to control weeds, build soil organic matter and promote soil biological activity. Read more about Seeds of Solidarity in the Fall 2016 issue of Small Farm Quarterly. 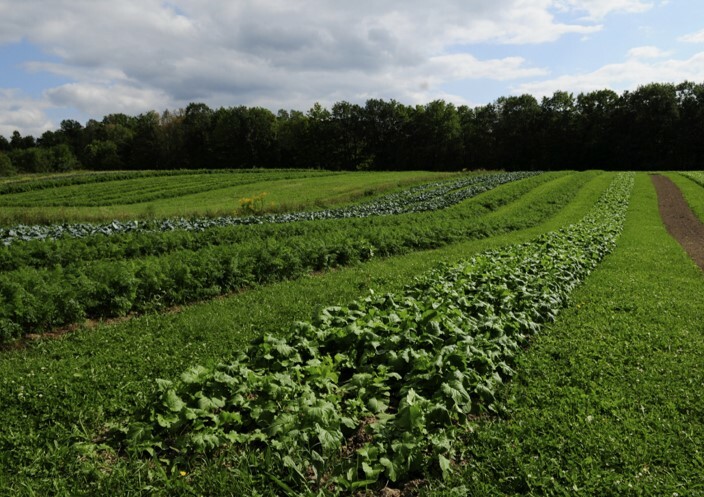 Janaki Fisher-Merritt’s vegetable farm is 13 acres in vegetable production, with roughly the same amount in cover crops. He makes much use of cut-and-carry mulching, where cover crops are cut in spring and spread as a mulch for tomato plantings. Janaki’s operation is very focused on good soil husbandry. Read more about The Food Farm in the Spring 2017 issue of Small Farm Quarterly. Rob Johanson makes extensive use of a two year cash crop/two year cover crop rotation and strip tillage to build soil on his 60 acre farm. The farm started in mid-1980’s as a conventional potato farm with intensive tillage, and slowly transitioned to an organic, reduced tillage, vegetable and livestock operation. Susana Lein has put permaculture principles to work and adapted many organic no-till production practices to restore her farm soil. She uses a combination of cover crops and no-till relay cropping to provide year-round soil cover, maintain biologically active soil, and produce crops, forage and seed.